What is it about teachers and office supplies? Maybe this is the best part of starting a new school year: shopping for the supplies to put in children’s hands. Bright shiny and moist markers. Notebooks with blank bright pages. Today at my first department meeting of the year, I picked up a brand new set of Prismacolor pencils. My department chair knocked it out of the park with his supply order. I’ve never been happier! I don’t know about you, but to me the newness of supplies symbolizes hope. I have such great hope for the students who will enter A202 today. I hope they’ll give me a chance to help them grow as readers and writers. I hope they’ll take risks that will help them become responsible young adults. I hope we can grow as a community of learners that empathize with one another as we take this journey throughout the year. My new notebook is ready, and my pencils are sharpened. The door is opening, and teenagers are streaming in. Here we go. “I don’t know about you, but to me the newness of supplies symbolizes hope.” So beautiful…I had a visceral reaction to this line. 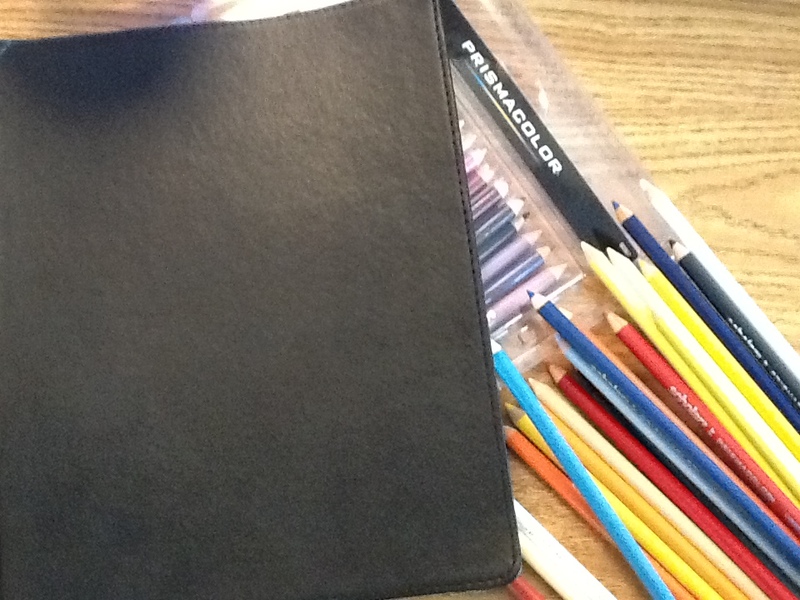 Hope is so powerful and for it to be symbolized through the simplicity of school supplies…well, I’m a believer. I love how you managed to squeeze this in right before students were entering A202. I could feel the urgency, yet calm…or shall we say zen…you welcomed your students with. Let the chronicling begin! I totally know what you mean! It reminds me of that line in You’ve Got Mail, when Tom Hanks says: “Don’t you love New York in the fall? It makes me want to buy school supplies. I would send you a bouquet of newly-sharpened pencils if I knew your name and address.” It’s one of my all-time favorite movie lines, not just because I ADORE that movie, but also because it’s just so true!! !